The CPCS Forensic Resources Unit assists and supports criminal defense attorneys in the public counsel and private counsel divisions of CPCS in the litigation of forensics issues in their cases. We keep attorneys updated on developments in the various forensics disciplines and provide education and training on forensics issues in criminal cases. Professional Resources: Click the link to the left for help in learning about forensics and finding experts, and for a set of links for evaluating forensic evidence. Some of the resources are maintained by CPCS, most are not. (p.1) “When President Obama asked the President’s Council of Advisors on Science and Technology (PCAST) in 2015 to consider whether there are additional steps that could usefully be taken on the scientific side to strengthen the forensic-science disciplines and ensure the validity of forensic evidence used in the Nation’s legal system, PCAST concluded that there are two important gaps: (1) the need for clarity about the scientific standards for the validity and reliability of forensic methods and (2) the need to evaluate specific forensic methods to determine whether they have been scientifically established to be valid and reliable. The National Academy of Sciences (NAS) has released a new report on eyewitness identification — “Identifying the Culprit: Assessing Eyewitness Identification.” The report reviews thirty years of research on memory and eyewitness ID and provides recommendations for police practices and court procedures. 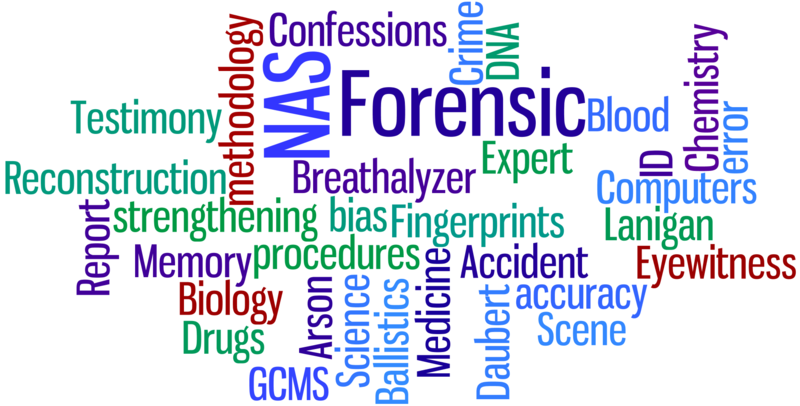 For more Forensics News, visit our Forensics News page!